The first two days of spring break have been fantastic. The warm-water fish are definitely awake and hungry. The first day of spring break was spent fishing the Goldfields and the fishing was phenomenal. The Yuba River was sitting at a very low 590 CFS and was gin clear. This usually means the river fishing is tough as nails and extremely technical. I didn't want to devote the entire day to the river so I spent most of my time hiking around looking for new ponds. The day started with a streamer but after seeing a few bass close to the bank and near the surface I switched to a popper. 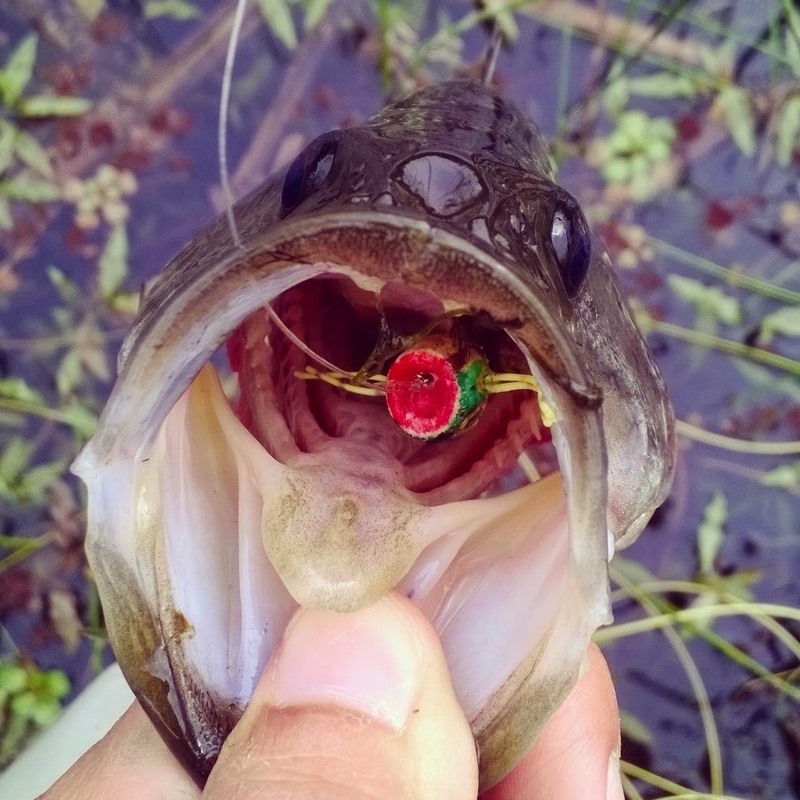 That little froggy popper caught me fish all day until the little last bit of light. Although the pop and sit technique worked well my favorite was the pop after pop explosion. The fish weren't very big but they took that popper with no mercy. Heart-stopping action! This was a fantastic way to start the break. The second day of spring break I fished Ellis Lake. The bass weren't very active for some reason, possibly due to the small cold front the night before. 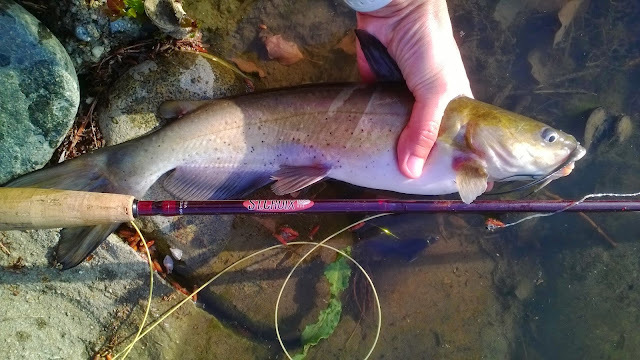 I fished the north lake first and landed a nice catfish but after covering quite a bit of water with no takes I decided to see if the south lake was fishing better. 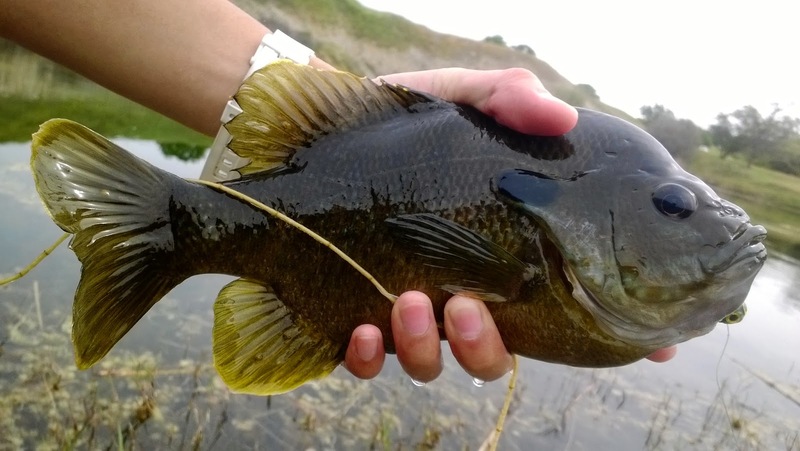 Once I arrived on the south lake I finally hooked a bass that I immediately lost. My next few casts I get a take and its a big one. Arm wrenching! The fish took me all the way into my backing. I couldn't tell what it was. Ten pound bass? Ten pound catfish? It couldn't be a carp because I didn't see any signs of carp in the area. 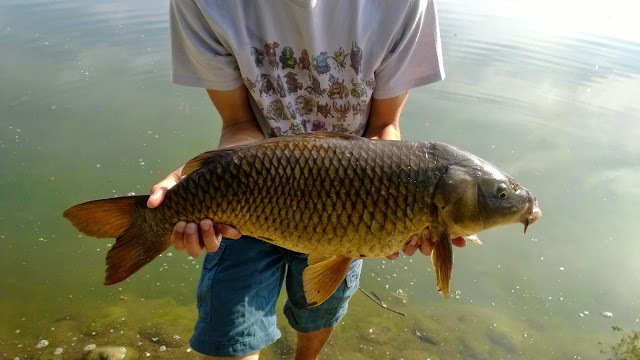 Once I got it close enough, its a carp! On a streamer of all flies. She probably mistook the streamer for a crayfish. I got quite a bit of intel on the Feather River so that's where I'll be tomorrow. My fingers are crossed on landing a steelhead.